Beautiful image and beautiful colored. I think you did a great job on this sweet card. Amazing - just a super lovely stamp and your colouring is fantastic. :-) I hope you had a good day after the early start and that your furbabies weren't too sulky when you got home. Maybe you would like to enter my Cats only Challenge ? Adorble! Thank you for joining us at Scrapper’s Delights Challenge Blog. Good luck with your entry. What a sweet card and you've colored it beautifully! Your frame die cut is perfect for this image and I like your paper choices. I love your ribbon and how you've tied your bow :-) Some lucky person is going to love receiving this card! Thank you for sharing with us in our monthly challenge at Craft-Dee BowZ! What a DELIGHT this card is, a fab image and your fabulous quote. Love those cute little kitties. TFS and joining us at Jo's for Funday Friday. 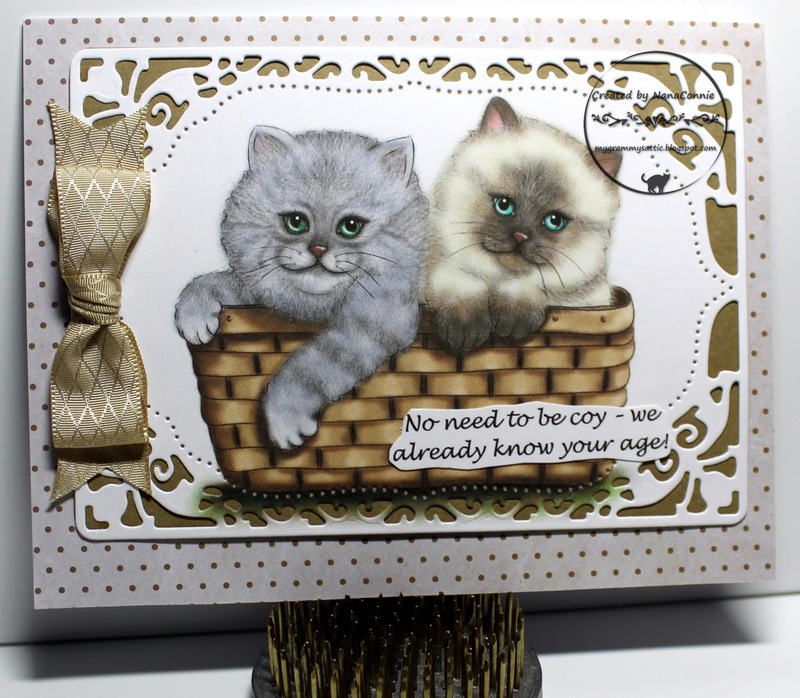 A wonderfully coloured image and your card design is fabulous! Thank you for joining in at Angie's Digital Stamps. Awesome images and your card is beautiful, thanks for sharing with us at Lil Patch of Crafty Friends.